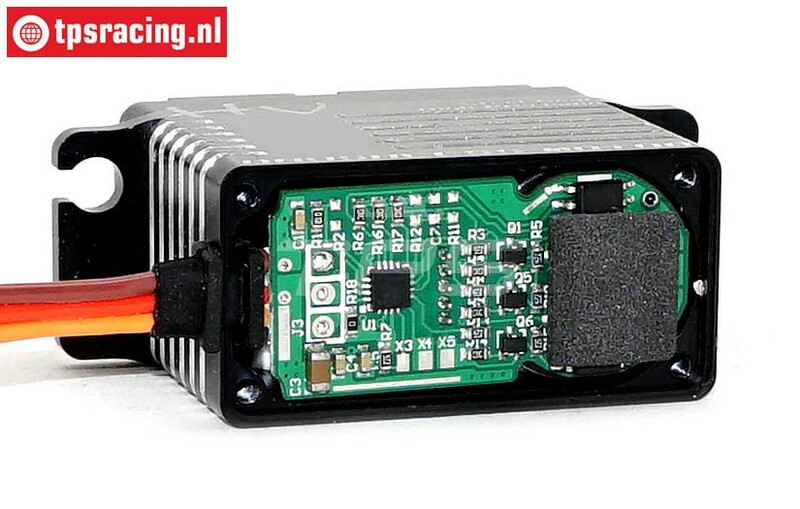 JX-BLS-HV7132MG Digital High Voltage & High Torque Servo. Waterproof, complete aluminum housing, double bearing, and a whopping 32,5 kilograms pull at 2-S Lipo, (7.4 volts). But also still 27,5 kilo when using a Li-Fe battery, (6.6 volts), or in a normal 6.0 volts, (5) cells, battery. 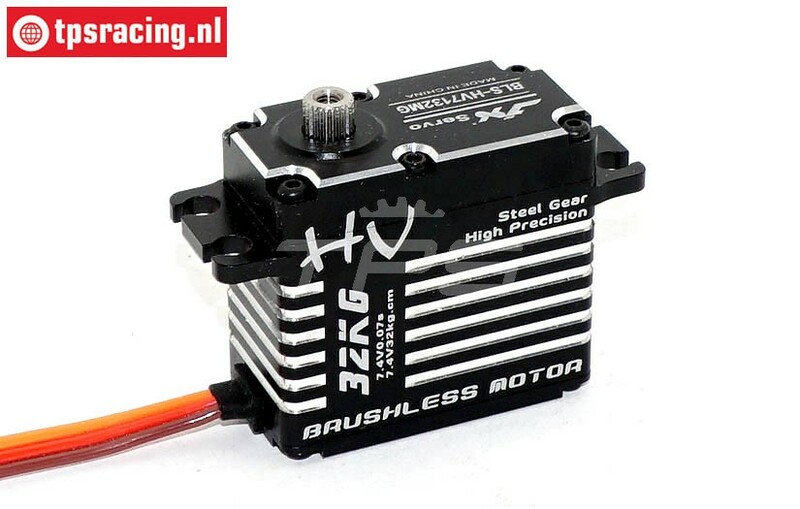 Durable, Brushless motor, and fitted with special steel gears with a friction reducting coating. 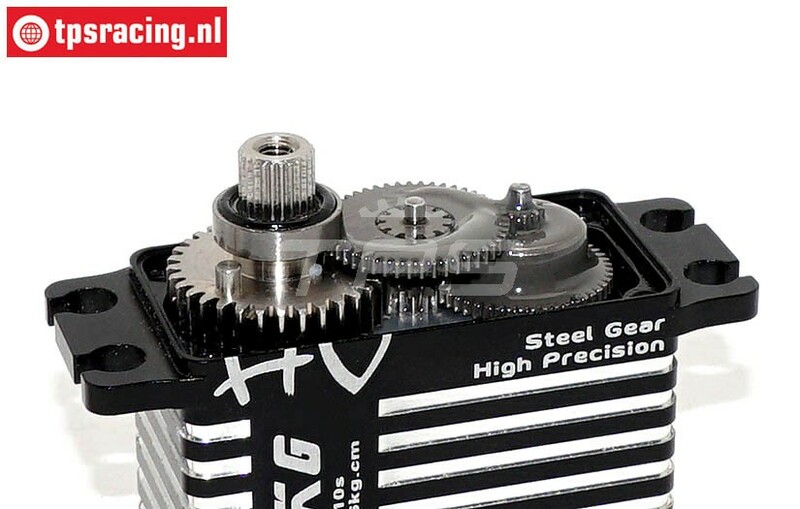 The output shaft of the servo is provided with 25 teeth, so most of the servo arms are directly suitable. I use four on my Genius, awesome power and very low battery consumption! 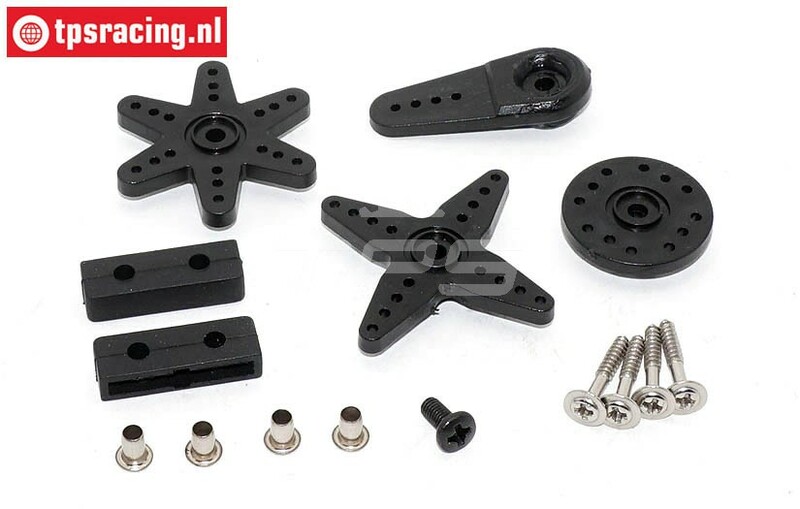 TPS0024 Aluminium Servo arm 25T- L55 mm Red, 1 pc. TPS0024/01 Aluminium Servo arm 25T- L32 mm Red, 1 pc. TPS0023 Aluminium Servo arm 25T- L55 mm Silver, 1 pc. 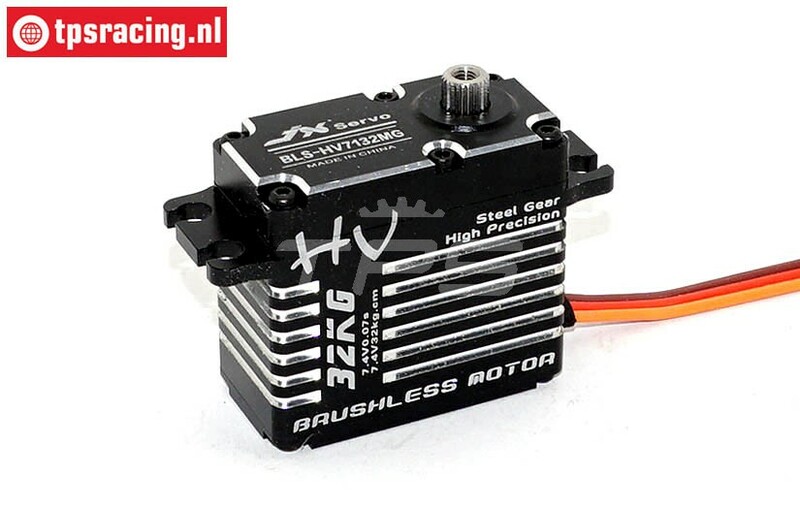 Complete gear set JX-BLSHV7146MG servo. JX253246 Upper closure screws JX BLS Serie, 6 pcs. 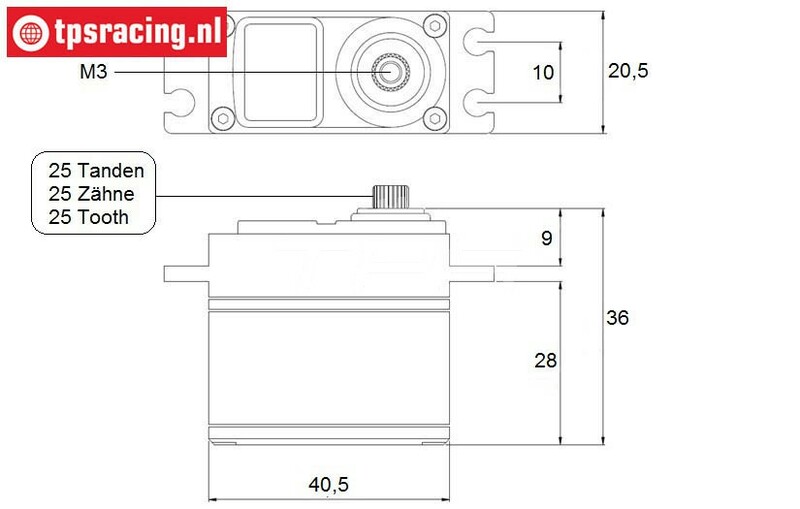 TPS0023/01 Aluminium Servo arm 25T- L32 mm Silver, 1 pc.